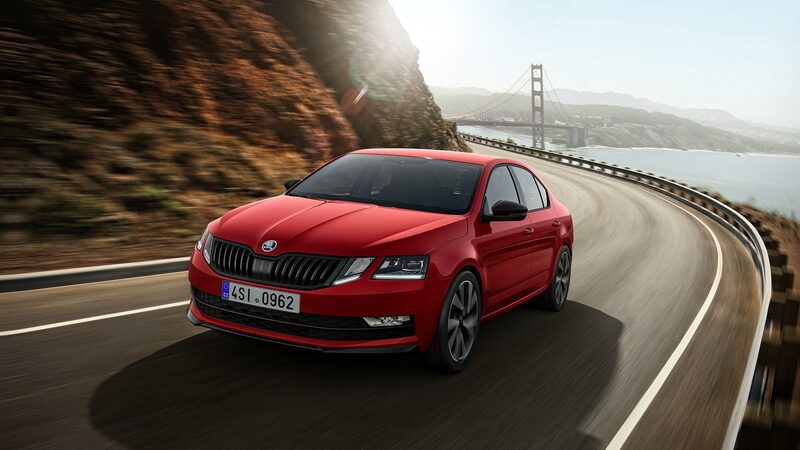 SportLine, as the name suggests, adds sporting performance-inspired elements from the Octavia vRS, but without the powerful engine specifications. Think of it as akin to Volkswagen’s R-Line cars, or Audi’s S line trim. It means all the show of the faster versions, but with less of the go – and a lower price tag. Skoda has already applied the SportLine trim to the Karoq and Kodiaq SUVs, along with the voluminous Superb. 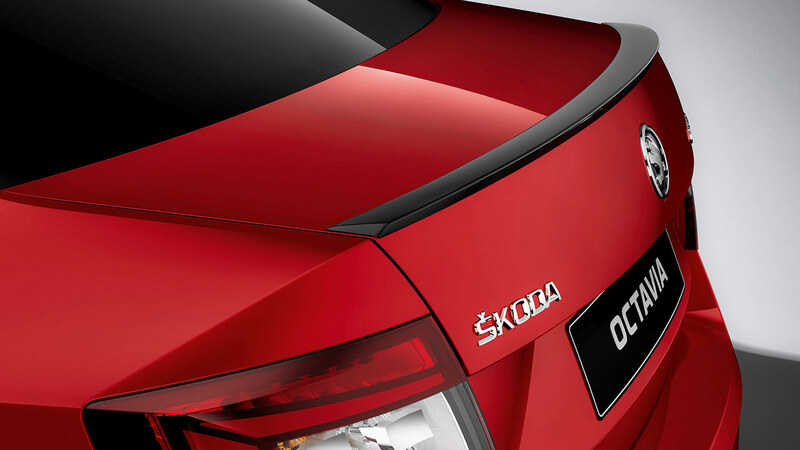 For the Octavia, it means adding a gloss black chin spoiler, which juts from beneath the front bumper. The front grille also gets the blackout treatment, aping the style used on the latest vRS Challenge special edition. Door mirrors, and a new rear diffuser with imitation exhaust pipes, also feature the gloss black design, whilst hatchback versions gain a subtle new spoiler atop the deck lid. Bad news, estate fans – you’ll have to go without. A set of 18-inch ‘Vega’ alloy wheels complete the exterior trinketry, and mimic those used on Skoda’s other SportLine models. Equipment levels are suitably strong compared to the rest of the already generous Octavia range. Full-LED headlights, featuring adaptive lighting and LED daytime running lights flank that new black front grille. Inside is an 8-inch touchscreen, with Skoda’s Amundsen satellite navigation system and integrated Wi-Fi connectivity. Automatic lights and windscreen wipers are also part of the deal. High-backed sports seats, similar to those fitted in the Octavia vRS, are present in the front of the SportLine. A black headlining adds to the sporty vibe, along with a three-spoke steering wheel trimmed in perforated leather. Two engines are on offer, with choices of a 1.5-litre petrol turbo or 2.0-litre diesel, both of which produce 150hp. The diesel unit uses a seven-speed DSG gearbox, whilst petrol fans can pick between that or a six-speed manual. Prices start from £23,870 for the petrol hatchback, topping out at £27,860 for the diesel estate. Orders can be made now, with the first deliveries expected next month.